These international shipping services terms constitute a legally binding contract between the ”Company” and the “Customer”. In the event the Company renders services and issues a document containing Terms and Conditions governing such services, the Terms and Conditions set forth in such other documents(s) shall govern those services. Furniture packing and crating costs and that of box packaging (if necessary) is subject to actual utilization of both material and labor on moving day. Final invoice shall reflect total charges per actual materials usage including all amounts necessary for securing your load into the appropriate container. Estimated total charges during the quotation process are simply a cost estimate based on a variety of factors not the least of which are: submitted inventory list in verbal or written form, national cubic footage averages for common household items, visual surveys, etc. Final charges may vary if one of these factors differs from the quotation interview prior to booking. Estimated Time of Pickup is based on your desired date in conjunction with the appropriate time of day as determined by the carrier’s normal schedule. While every effort is made to provide you with a timely pickup, OSI shall not be held liable for delay caused by highway obstruction, faulty or impassable highway, lack of capacity of any highway, bridge, or ferry, or caused by breakdown of mechanical defects of vehicles, equipment, or from any cause other than negligence of the carrier; nor shall the carrier be bound to transport by any particular schedule, means, vehicle or otherwise than with reasonable dispatch. The carrier reserves the right in regards to the routing, method of transportation, selection of carrier and delivery agent. The assigned carrier shall have the right in the case of physical necessity to forward said property by any carrier or route between the point of shipment and the point of destination. Estimated Time of Arrival is determined by the shipping line and is listed on their Booking Confirmation. All shipping lines reserve the right to schedule changes while in transit should they deem this necessary. While not guaranteed, most shipments arrive at port within 30-60 days of sailing date. This time estimate is based on a compilation of past experience of shipping time frames for specific regions. In addition, this shipping time estimate begins from the first date of complete payment of final invoice or receipt of the required customs/contact documents if applicable. OSI cannot be held liable for any unforeseen actions that would delay a shipment’s arrival date such as, but not limited to natural disasters, port/terminal issues, government involvement, port authority/customs intervention, labor strikes, increased examinations due to heightened security alerts, etc. It is highly recommend that Marine Insurance coverage be purchased for your international shipment. While every effort is taken to provide the most secure method of transporting your goods, accidental damage/loss does occur on a seldom/random basis. If insurance is purchased, you must itemize the articles of concern and provide this list to our office. The insurance endowment will be filed based on your declaration of the shipment’s value and the premium amount will be assessed on your final invoice. All terms and conditions of coverage are subject to the Insurance policy. All claims, if any, should be submitted by the Consignee directly to the Insurance Company of record. OSI is the carrier for your shipment, not the insurance underwriter and will not be responsible for any claim you may have. If you choose not to purchase insurance, you are waiving your right for reimbursement in case of damage or loss. If you choose not to insure you hereby declare that OSI has offered marine insurance coverage for your shipment. In addition, if coverage is declined by the shipper/consignee, neither you or any person or entity acting on your behalf shall assign, grant, authorize or allow any subrogation of your rights against OSI in connection with your shipment. OSI shall be indemnified and held harmless for any loss incurred if this agreement is breached as a result of any claim or action of subrogation or otherwise asserted by any third party in connection with your shipment. All insurance endowments are subject to a $500 deductible per occurrence which must be met prior to any claim being paid. Additional charges will apply, but are not limited to inaccessible or difficult entry; stairs and long carry situations and other unforeseen hindrances determined on moving day and/or during the delivery at destination (if applicable). Our local moving agent and/or shipping line have the right to determine whether crating or palletizing is necessary for the safety of your belongings. For vehicle/boat shipments, you must provide our office (or the carrier in some cases) the original title, a signed/notarized power of attorney authorizing OSI to ship your vehicle/boat. In addition, you will be provided a dock receipt by email that must be given to the carrier to be stamped at the port of entry. Any delays in the processing of your shipment as a direct result of incomplete documentation shall be the responsibility of the shipper. Deposits are non refundable on cancellations. However, deposits are transferrable or can be applied toward future shipments with OSI. While final charges for all ocean shipments are contingent on the total volume of said shipment, final charges for air shipments are contingent on volume or weight, whichever is greater. Trucking shipments and all intermodal transportation are based on interim weight of your shipment. Intermodal companies reserve the right to add a bunker or fuel surcharge if there is a substantial weight difference between the estimated and actual weight. Shipment volume is determined by an independent third party such as the local moving agent, intermodal company or shipping line at the receiving terminal. Unless otherwise noted, your shipment will be either palletized or crated so as to prevent harm during the shipping process. Final dimensions include all space occupied by the palletizing and crating process. All shipments are subject to documentation fees if overnight couriers are used and/or for processing insurance documents if insurance is purchased. While every attempt is made to consider all charges for the delivery of your goods, certain destination charges are always excluded from our estimates/invoices, unless otherwise noted in your contract. These charges include, but are not limited to port, terminal and container service charges at destination, parking space reservation if needed, temporary or non-household goods customs clearance, inspections and/or scanning charges, quarantine charges, excessive delays at customs points, unexpected increase in road taxes/fees, handling of different weight or volume, emergency bunker charges, war risk surcharges, import duties and taxes if applicable at destination, storage/demurrage, detention / waiting time by trucker or drayman, difficult access delivery, long carry, shuttle service, hoisting, in-house delivery above 1st floor, etc. All final invoices must be paid in full within 72 hours of invoice date to insure timely processing of your shipment and to avoid storage/administrative charges. While every effort is made to make your relocation a pleasant and efficient experience, disagreements sometimes occur. Depending on the stage within the shipping process, we request that you submit your information in writing to the contact email designated in your customer packet. Your submission will then be reviewed by upper management for accuracy, clarification, determination and resolution. Said resolution will be presented to you in writing shortly thereafter. OSI is committed to exemplary customer service and will do everything within reasonable limits to effect a satisfactory resolution. During this phase, you are required to maintain all communications between OSI personnel and yourself in the utmost confidence and will not forward, display publicly, post online or otherwise reveal the nature of any internal communications as it is considered privileged information and may hinder the negotiation process. Any final settlement reached is further bound by this confidentiality agreement and the shipper/consignee consents to the jurisdiction and venue of any court of general jurisdiction of Broward County, Florida and any legal proceedings arising out of this Agreement shall be brought only in such courts. The prevailing party shall be entitled to their attorney’s fees. ABANDONMENT OF CARGO: If the shipper or consignee does not respond to repeated communication regarding an unpaid invoice or does not arrange to pick-up cargo at destination after alerts have been sent, after 30 days OSI reserves the right to consider the cargo abandoned and give order of destruction of cargo before storage fees at origin begin to accrue or demurrage/storage fees begin to accrue at destination. OSI cannot and will not allow charges by warehouses or steamship lines to accrue to OSI’s account due to a shipper’s or consignee’s irresponsible act. Furthermore any fees charged by the warehouse or steamship line associated with the disposal of the cargo will be to the account of the shipper/consignee. Even if cargo is disposed of, the shipper/consignee is not absolved from these charges or any unpaid invoice(s) due to OSI in association with the shipment, and these fees will automatically be charged to your credit card on file. In addition, if disposal of cargo should occur for the reasons mentioned in this paragraph, OSI shall be indemnified and held harmless for any loss and no legal action shall be brought against OSI or any of its associates. Pick-up dates are subject, but not limited to changes by the shipping line and/or intermodal company responsible for shipping your household goods. Every effort will be made to retain your scheduled date, yet unforeseen circumstances may prevent a timely pick-up. In this case, dispatch will work diligently to find a solution so as to prevent as much inconvenience as possible. 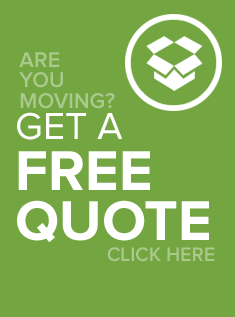 To secure your move, we require a nominal deposit as listed in your offer. Acceptable forms of payment are credit card, wire transfer, cashier’s check and money order. Balance is due within 3 days after the invoice has been issued with a credit card, personal or business check, money order, cashier’s check or wire transfer and made payable to OSI, but please be aware that a 4% convenience fee will be applied if you choose to pay by credit card. If using an American Express there will be a 5% convenience fee. By initialing this you acknowledge that you will not for any reason do a chargeback to any credit card payments for services already rendered. All personal and business checks must be processed through ACH (Automated Clearing House) network; a $5.00 processing fee will apply. Shipment will not depart origin until the final payment has been received. If shipment does not depart, storage fees will begin to accrue after 7 days. A late fee of 1.5%(of your invoice) per week will begin to accrue 3 days after the final invoice has been issued. All payments or adjusted balance, if any, must clear the bank posting system in order to release your shipment and continue service. A non-sufficient check issued to OSI will incur a minimum service fee of $150.00. It is considered fraudulent to pay for services with a check that is returned for insufficient funds. It is also unlawful to place a stop payment on any personal check authorized by shipper in exchange for services rendered. All shipping contracts are subject to GRI (General Rate Increase) issued by the shipping line as is deemed necessary for them to do so according to maritime law. All bookings are subject to carrier’s equipment and space availability which may affect the final invoice.